DALLAS—St. Elizabeth of Hungary School, tucked away at 4019 S. Hampton Road in Oak Cliff, has a rather unique safety feature: the principal is a former Dallas police officer. The mother of four (two sets of twins) Rachel Robb, spent a decade as a police officer. She has served as a middle-school science and math teacher, was honored as Teacher of the Year, and as assistant principal at St. Elizabeth of Hungary Catholic School before becoming its principal last year. In addition to her expertise in crowd control as an officer, she is following in the footsteps of both her parents who were teachers. Born in Denton, Robb now lives in Waxahachie. A graduate of Bishop Dunne Catholic School, she was a student at the University of Dallas. During her studies, she decided she wanted to become a police officer, so she entered the Dallas Police Academy in 1986. She was just 20 when she began her decade with the police department, including five years as the officer for Methodist Hospital’s emergency room. This led to her certification as an emergency medical technician. As she worked for the police department, she continued with her college studies online and finished her degree in education. Next, came a stint as a stay-at-home mother when her first set of twins, Cody and Caroline, arrived. Two years later twins Travis and Jake were born. In 2001, she was considering St. Elizabeth’s for her children when she heard about the need for a science teacher at the school. She applied and began teaching. 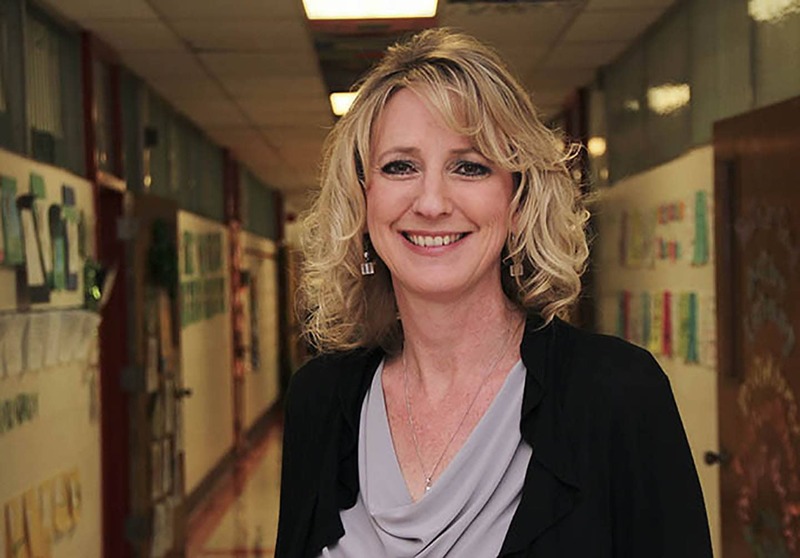 In 2013-14, she was chosen as Teacher of the Year. She returned to the University of Dallas and earned a master’s degree in Catholic School Leadership. Robb served as St. Elizabeth’s assistant principal for six years prior to her promotion to principal. Meanwhile, all four of her children have followed her through Bishop Dunne and are now on their own, working and attending college. Robb is busy raising $200,000 for a new STEM program which includes a Science lab for St. Elizabeth’s, and is working to get local businesses to join her in this venture. She’s hoping to find four local companies that would like to donate to the new lab. Her goal is to have it installed and in operation by next year. She hopes to make St. Elizabeth an academic shining star in Oak Cliff. The school is also expanding its pre-K program, recognizing that children as young as three years old are ready and eager to learn in a safe and protected environment. Educational experts agree that a student who remains in one school for a decade, rather than moving from school to school, often do better academically and socially. St. Elizabeth’s has classes from pre-K 3 through 8th grade, a full ten years of education. The school has openings in Pre-k3 through 8th grades. Thursday, November 3, from 8 – 3 p.m.
Sunday, December 4, from 1 – 4 p.m.
Wednesday, February 8, from 8 – 3 p.m.